Vic Worthington is the Tech Lab Instructor at Rochelle Middle School in Rochelle, Illinois. 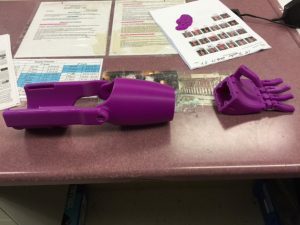 Several of his students are currently designing a prosthesis for a local farmer who lost his arm. The experience that students receive in the classroom affects them deeply: it helps them determine their interests and strengths, provides them with invaluable knowledge across many subjects, and molds their future. By introducing 3D printing into the curricula, teachers are able to offer a more varied and unique classroom experience. One such unique experience is currently unfolding in Vic Worthington’s classroom at Rochelle Middle School. 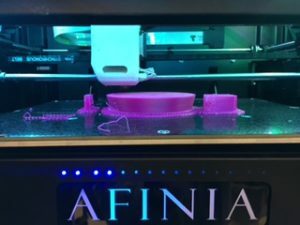 Worthington introduced the Afinia H800 into his classroom about a year ago. “Everyone is excited about it,” he says. 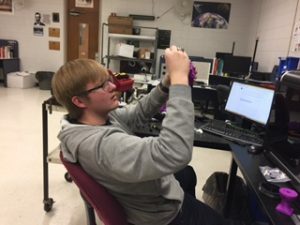 Three of Worthington’s 8th grade students, and one college sophomore, get to experience the added excitement of working on a 3D printing project with a big impact outside the classroom: creating a 3D-printed prosthesis for Jake, a local farmer who lost his arm. Worthington explains that living in a small town, everyone is “famous to some degree,” so he has known Jake’s story for some time. Worthington expresses that he’s confident that the students will be able to provide Jake with an arm that will allow him to bottle feed his new baby, while holding him or her. “I’m pretty sure having my students make that possible would be just about the most worthwhile homework I’ve ever assigned,” he says. 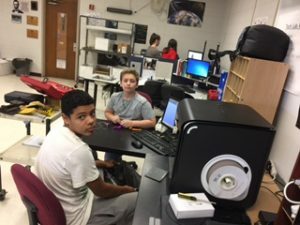 Although several students are getting to work on such a meaningful project, Worthington aims to expand the 3D printing opportunities to the rest of the students by working the technology into the curricula. 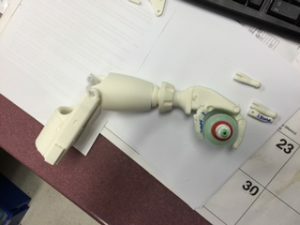 “As we dug deeper into what folks out there are doing with prostheses, we’ve come across some prosthetics-based 3D printing curricula online that we plan to try out in the spring semester,” he says. We look forward to hearing more about the students’ prosthesis project as it progresses! For educators interested in incorporating 3D printing into their curriculum, please see our Educators webpage, or learn more about our 3D Printing Project-Based Learning STEM Kits.